The rain started last night, and it was supposed to turn to snow. The pitter-patter on the roof was soft and enchanting so I turned off the music. The open window allowed the full sound of the rain to come into the room. The soft melody made the perfect atmosphere to read. We had been birding all morning as we climbed onto viewpoint above Burroughs Channel. It was almost noon and we had a good morning searching for seabirds and shorebirds, pretty much ignoring the little tweets. The sweet whistle followed quickly by several more whistles and buzzes, therefore, caught me off guard. I stopped to listen again. We had pulled into Washington Park at Anacortes to search for buffleheads and surf scoters on Rosario Strait. We found several feeding out from the boat landing. They repeatedly dove staying down for 20 to 30 seconds while they searched for tasty morsels. My birding partner spotted a white flash way off shore and we discovered a pigeon guillemot stretching on the gentle swells. With each stretch of its wings, its white patches flashed in the noon sun and the white contrasted with the black body plumage. A common loon in its new nuptial plumage cruised by as we climbed back into the car to head to Green Point. At the point, five red-necked grebes bobbed in the waves; they had shifted from their drab winter plumage to their nuptial plumage with the distinctive rufous neck that gives them their name. We, also, heard the loud cries of a black oystercatcher pair and ran to the edge but to no avail. So what was this sweet whistle I just heard above Burroughs Channel? Here it is if you would like to hear it too. I stopped by Mukilteo Lighthouse to see what birds might be there. I had hoped to find surf scoters and Barrow’s goldeneyes feeding on mussels by the ferry terminal but none were present. They may not have moved south from their breeding grounds yet. I did watch a red-breasted merganser that had the last inch of its lower mandible-missing. It dove repeatedly just off the beach and successfully caught three fish in the half hour that I watched. Its plumage looked in good shape as if it had not had problems preening and caring for its feathers. I wonder how long this bird has been like this. Heading north, a flock of 20-40 red-breasted mergansers flew by a few hundred yards off shore but the one I watched made no attempt to join its brethren. 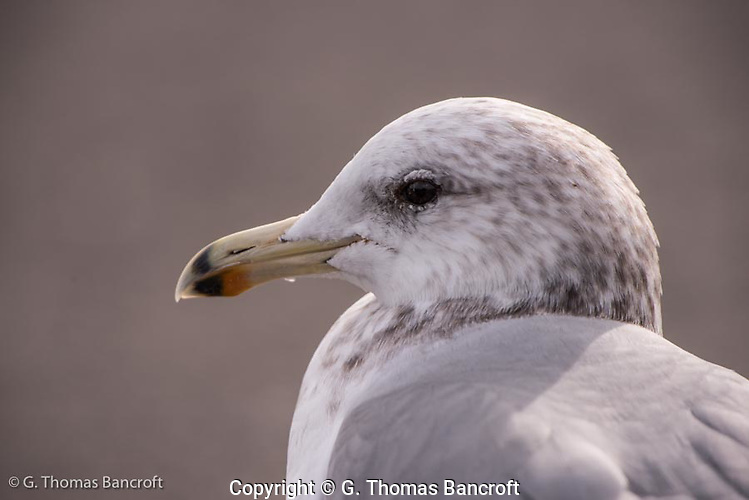 Glaucous-winged gulls and common crows were numerous along the beach and at the ferry terminal. When ferries came and went, many gulls flew out to where the water churned from the ship’s propellers. I guess the ship stirred up morsels for them to catch and eat. Others seemed content to feed along the beach or lounge in the parking lot. A family with two children fishing at the peer beside the ferry terminal put the birds in a frenzy each time they pulled something up from the water but I never saw the birds successfully snitch something from the family. By the boat launch, I watched a couple hold a piece of food out for a gull. The gull sat just beyond their fingertips leaning toward them clearly frustrated and wanting the food but would never take the final step to grab the morsel from their fingers. I found a pair of rock pigeons roosting peacefully on a crossbar of the ferry terminal. I thought they might flush when a ferry pulled into the dock but they stayed content in their little spot, out of the wind and resting shoulder to shoulder. They looked like an old couple sitting peacefully on a park bench enjoying the day. Just the way I felt after my short walk; content, calm, and relaxed. At Seward Park, I spotted a family of Common Mergansers along the shore of Andrews Bay in Lake Washington. 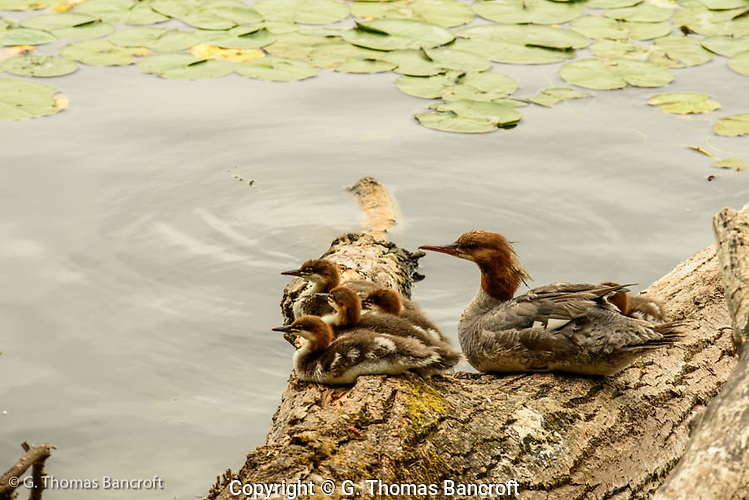 The female duck had her brood resting on a log. 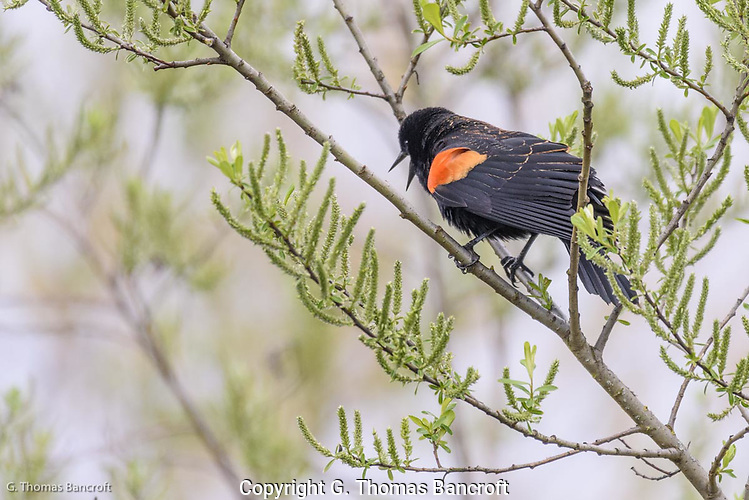 For ten minutes she preened her wings and back feathers by taking individual feathers in her serrated bill and pulling them through her bill to straighten barbules and align feathers with adjacent feathers. 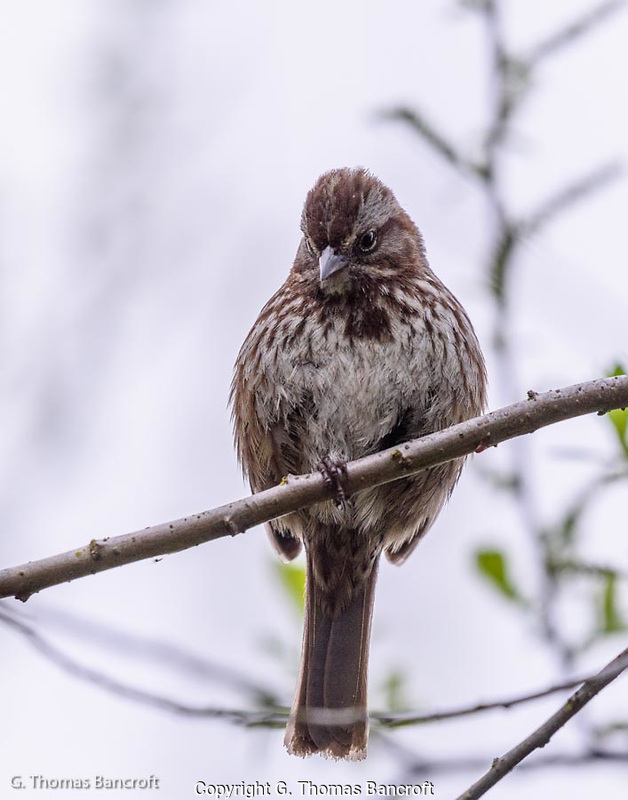 All birds need to maintain the water proofing on their feathers so water doesn’t soak into to their skin. For ducks this is especially important because they spend so much time in water. If water makes it through the plumage to their skin, a duck will suffer hypothermia and if not solved, wet skin usually results in death. They waterproof feathers by coating them with oil from the uropygial gland at the base of the tail. The oil contains diester waxes that help waterproof as well as keeping feathers flexible. 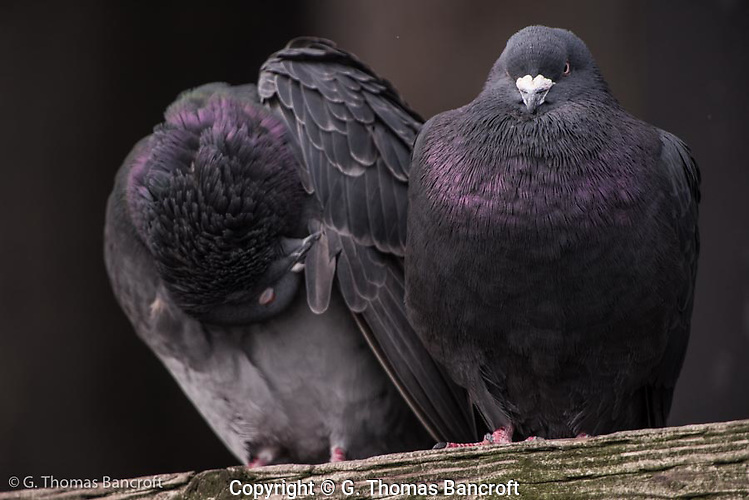 All birds spend substantial time caring for their feathers. While I watched, the female and young slept by tucking their heads along their back feathers and sometimes their bill under wing feathers. They were quick to wake-up and look around if they sensed danger. One young squeaked once at something and all became alter and looked around to be sure nothing was approaching. One young peered carefully into the sky, its head cocked to the side, but I could not see anything when I looked. Bald eagles will feed on ducks and two pairs of eagles nest at Seward Park. The ducklings closed their eyes so I guess they didn’t feel an eagle was patrolling at that moment. Common Mergansers nest in tree cavities where they lay a dozen or so eggs. The young leave the nest soon after all have hatched. They jump from the cavity, falling to the ground where their body acts like a ball and they bounce unhurt. The mother gathers the young and heads to the water. For the first week or two, the young feed on caddis flies, mayflies, dragonflies and other aquatic insects. When about two weeks old, they begin to pursue and eat small fish. 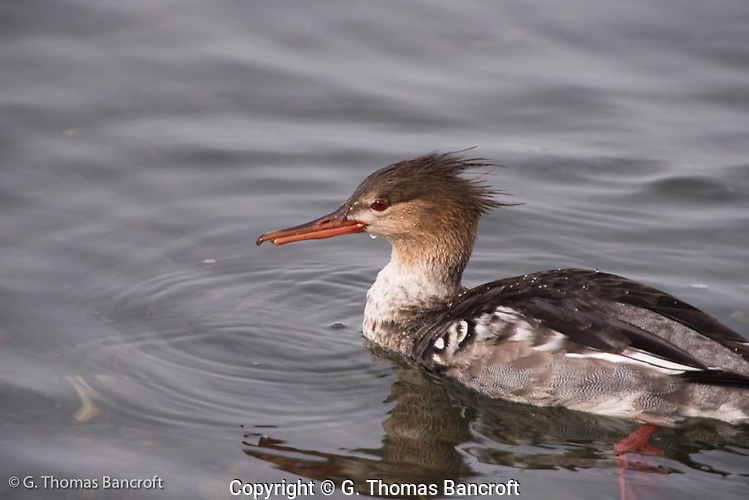 Adult mergansers feed primarily on fish and chase them under water, twisting and turning with the fish until they capture it. I watched the family for 20 minutes before moving on down shore loop road. My heartbeat increases when I find something as exciting and interesting at this. It is great that some species successfully nest and prosper in a city landscape. This female had five half grown babies accompanying her. Outstanding. This afternoon, the skies cleared a little allowing the sun to peak through the clouds. I sat watching out my west window as they drifted north trying to see animal and bird shapes in the clouds. After a spattering of rain all this morning it was fun to watch the skies change. I have always found clouds fascinating to watch. I wonder why? They create such a relaxing setting. Several hundred American Coots winter on Green Lake in Seattle. This species breeds all across North American and south through Central America. Large numbers from Central Canada and the US migrate west and south for winter. 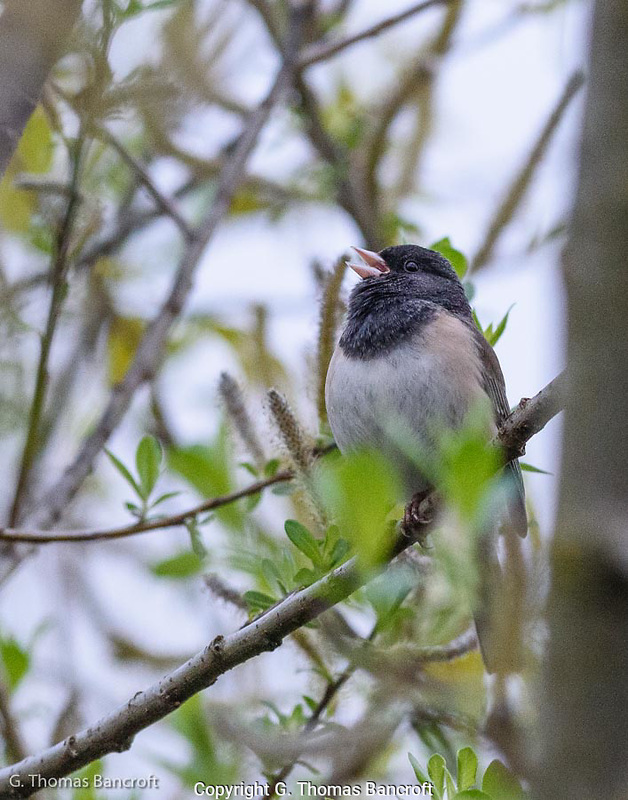 The Pacific Northwest is an important wintering area for them. 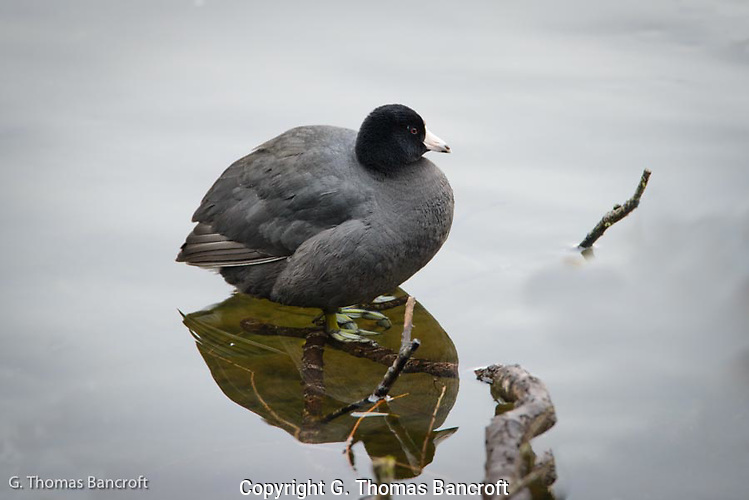 The number of coots at Green Lake has started to decrease from winter highs as many move toward breeding grounds. Some may stay to breed at Green Lake. I will keep a look out this summer to see if they do. 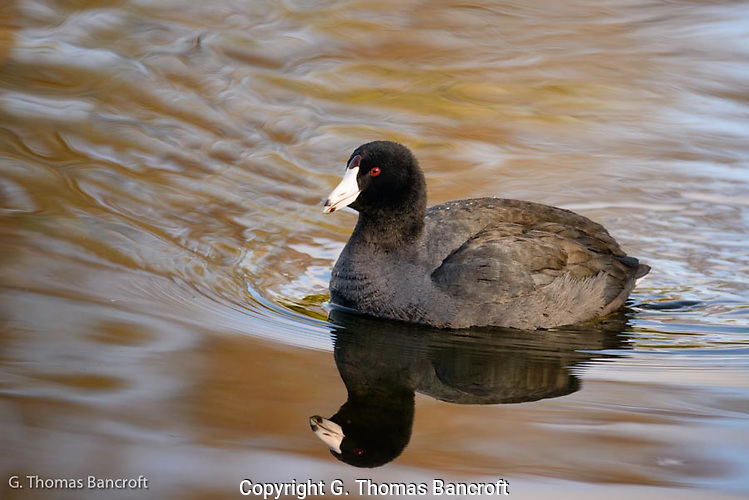 Coots are not members of the duck family but rather are related to rails and cranes. They have large lobes on their feet that are used for swimming and also fold as they walk on land. The feet seem bigger than you would expect for this sized bird; the large feet help support them on marsh vegetation. 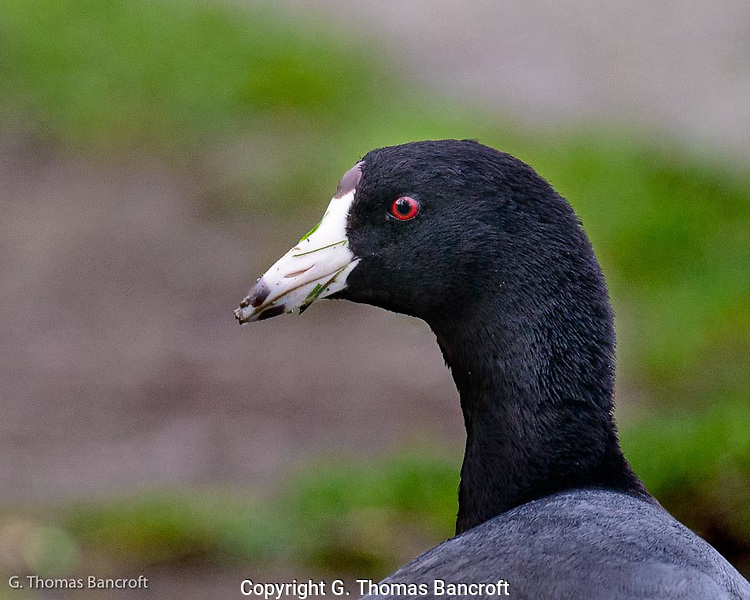 As adults they have a dark grey body, red eye and white bill. Sometimes they will have a red dot on the white shield above the bill. They feed primarily on vegetation and algae but will also take insects and small animal prey. I have watched them forage across the lawns at Green Lake picking up small grubs, especially after a light rain and bite off pieces of grass. They tend to form large flocks during the winter. 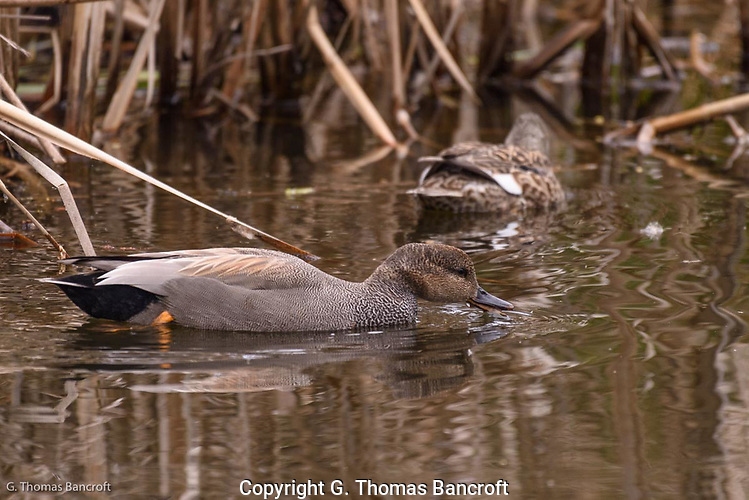 During the breeding season, they become territorial and pairs defend their piece of the marsh. Adults will build a floating nest by piecing together cattails and other vegetation to make a platform for their eggs. The young leave the nest soon after hatching and stay with their parents until they are grown. Check them out the next time you visit Green Lake. I have seen them on all sides of the lake as I walk the loop. The other day I was crossing the George Washington Memorial Bridge on Route 99 in Seattle when I spotted a Peregrine Falcon sitting on one of the light poles on the bridge staring west, probably in search of prey such as a pigeon or flying duck. It reminded me that conservation is very successful when we can identify the threat and deal with it. When I was in high school in the late 60s in Pennsylvania it was a rare sight to find a Peregrine Falcon. 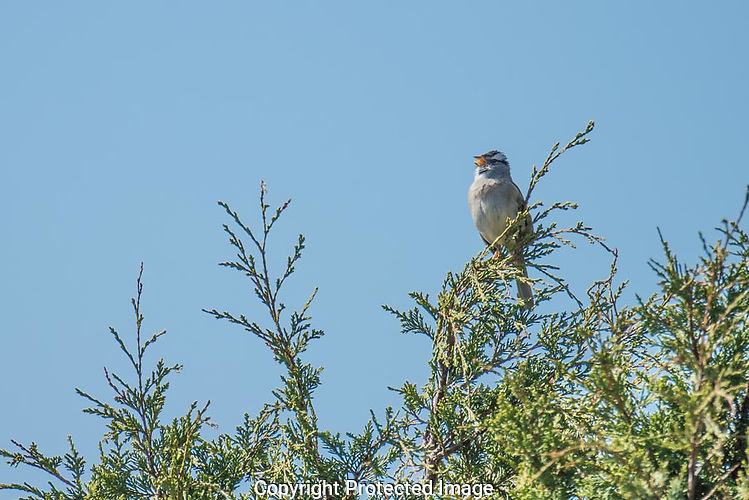 They had virtually disappeared as a breeding bird in the contiguous 48 states because of the pesticide DDT. The accumulation of DDT in their body resulted in the thinning of eggshells and the eggs would break when the parent attempted to incubate. DDT was banned in the 70s and considerable effort was put into captive breeding and ‘hacking’ out young into the wild. Now Peregrines are breeding in many places. In the wild in preindustrial times, they typically nested on cliff faces. Now they often use bridges and buildings, finding ledges very similar to cliff faces. One may be nesting under the route 99 bridge? A pair is definitely nesting in downtown Seattle right now. You can watch it on a cam that has been set up to observe the nest. I was birding in Skagit County in March with several friends and we watched a Peregrine Falcon swoop in on a flock of feeding ducks. It did not catch one but we were so impressed with its grace and speed. This falcon is amazing to watch flying; they are so agile and quick in their flight. 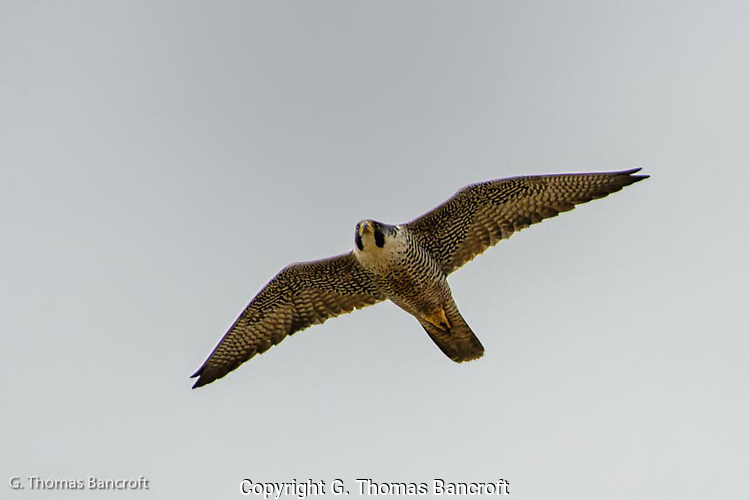 Peregrine Falcons are now pretty common in the Pacific Northwest especially as migrants and wintering birds. Keep your eye out for them when you are about. The warm weather has really caused lawns to green up and flowers to push through the grass carpet. A montage of white daisies interspersed the lawn at Matthews Beach Park and gave it an interesting white and green mosaic. 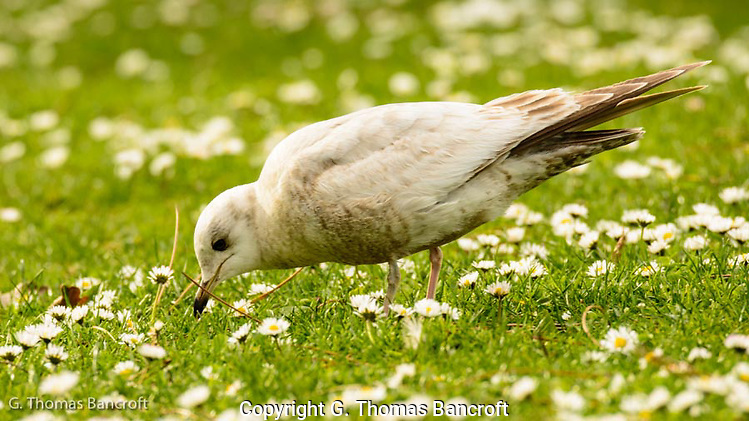 A first-year Mew Gull was busily searching for grubs and insects in the lawn. It would walk one way and then the next, looking between grass blades and under leaves for possible morsels. Notice how the wing feathers are light brown and look worn. The brown wing feathers and brown feathers along the body indicate this individual hatched last summer. Soon it should be replacing the feathers on its back with gray feathers typical of adults. They take two full years to attain adult plumage. 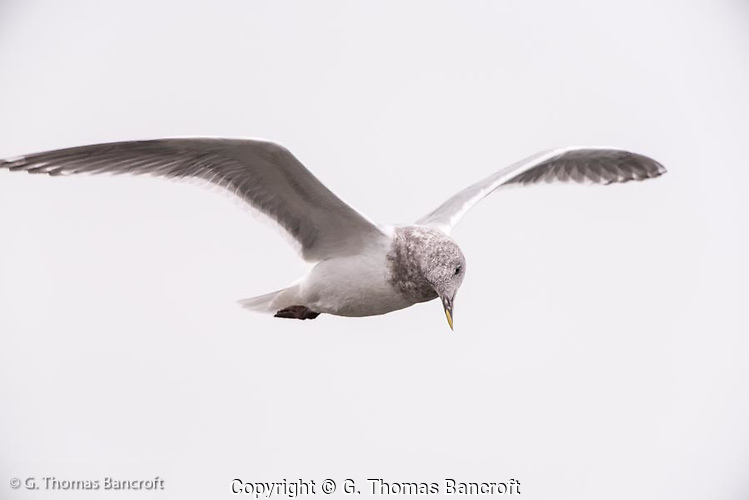 Mew Gulls nest north of Puget Sound and breeding individuals should be heading north to Canada and Alaska soon. Some, possibly this individual, may stay here for the summer and not attempt to nest this year. These gulls are much smaller than the more common Glaucous-winged Gull. Note how small and delicate its bill looks and its general smaller size. 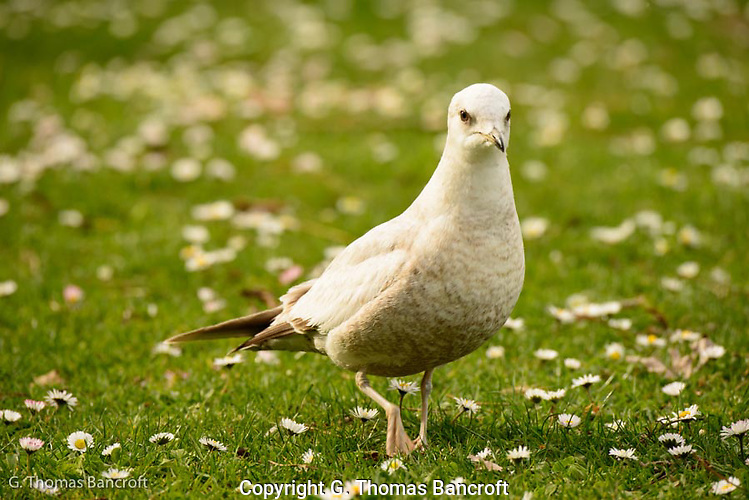 Keep your eyes out for Mew Gulls as you walk along the shore in Puget Sound, Lake Washington or other water bodies in the Pacific Northwest. We have probably all looked at an American Crow flying by and said, “oh, it is just a crow.” They are actually really interesting creatures. They form long-term pair bonds. Some populations breed cooperatively with young from previous years helping raise the next brood of young. They have a very complex social system with related families often forming larger flocks during the non-breeding season. They are incredibly smart and can learn to recognize individual people and respond to them. I sometime just like to sit and watch them to see what they are up to. 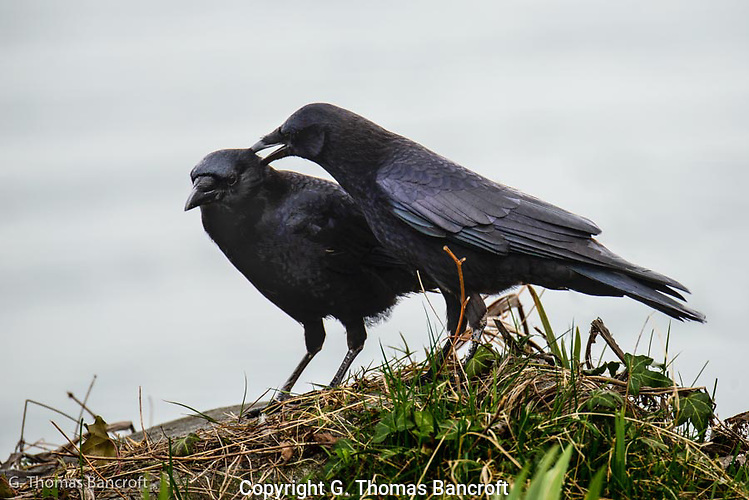 On Wednesday, I watched a pair of American Crows walking along the shoreline at Matthews Beach Park in Seattle. This pair was only partially interested in feeding and seemed to have something else on their mind. First one individual would approach the other and begin to preen the others feathers. 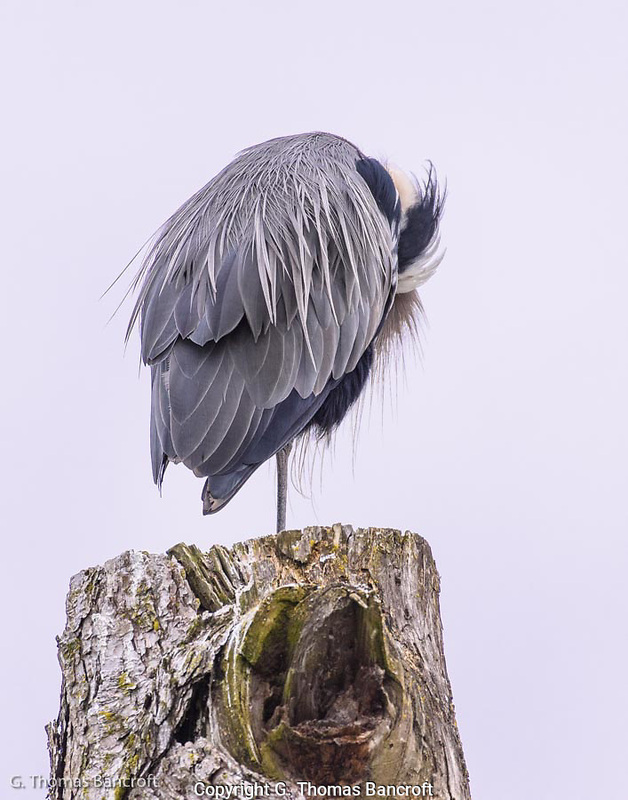 A few minutes later the other individual would begin preening the first. 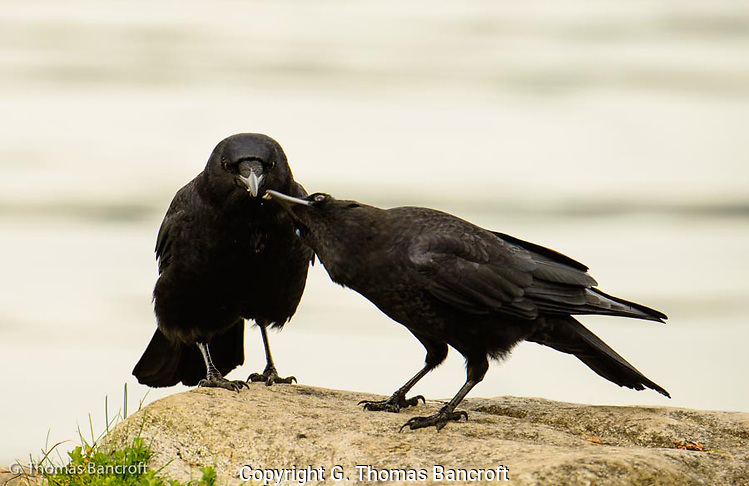 This behaviour is known as allopreening and in crows is a behavior used in solidifying the pair pond. One individual seemed slightly larger than the other and I assumed this was the male. The sexes overlap in size but generally males are larger than females. Over a 30-minute period they worked several hundred feet along the shoreline. Stopping occasionally to pick things from the ground or along the shore. At one point, the presumed male held some food in its bill and the female took it by twisting its neck almost upside down and softly picking it from the other. I suspect the pair will nest in a tree in the vicinity of the park. The pair flew off when someone walked down close to the shore. 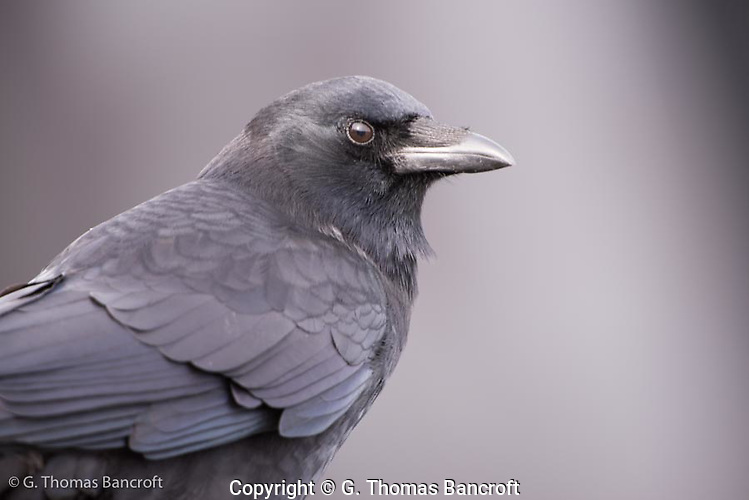 Next time you see a crow, remember that they have complex behaviors and are quite fascinating socially.